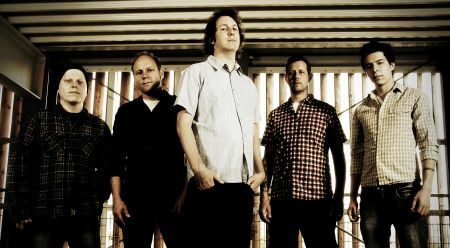 They Fell From The Sky – the band featuring Pitchshifter drummer Jason Bowld and Hundred Reasons vocalist Colin Duran are giving away their first single for free. This new alternative rock project also features Snuff bass player Lee Erinmez and guitarists Dave Draper and Oly Edkins. ‘This is not a vanity project, it’s a band of highly creative individuals wanting to create something that has substance and believe it or not, songs’ says drummer Jason Bowld. ‘Anyone who knows our history, is going to fu*king love TFFTS‘. For more information and to access the download visit the official website.